The National Pony Society (NPS) was founded in 1893 by interested and concerned breeders who came together to promote the breeding of polo ponies and high-class riding ponies. These ponies became known as the British Riding Pony, and became the most popular mount for children’s riding ponies as their popularity grew through the 20th Century and in particular post war. Their bloodlines were a cocktail of the best Thoroughbred, Arab and native pony blood, blended by discerning breeders to produce the ultimate riding pony. These ponies were renowned for their beauty and elegance, with floating and ground covering movement. A new series of competitions to reward the top Children’s Riding Pony became the highlight of many national shows including the inaugural running of Horse of the Year Show. 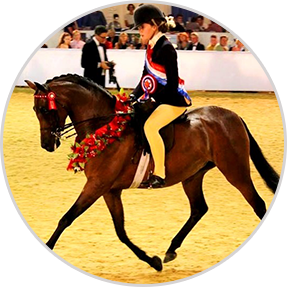 Today British Riding Ponies excel in many spheres of equestrian sport in addition to dominating in the show ring. 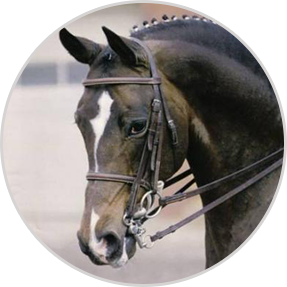 British Riding Ponies not only compete with tremendous success in the show ring, but they also excel in dressage, eventing, show jumping and even pony racing. Many ponies were exported in continental Europe where they became the foundation stock for the German and Dutch Riding Pony studbooks.